Zoe Herbert kindly attended the 2017 AGM of the Gatliff Hebridean Hostels Trust and gave a talk on her recently published survey. The complete survey can be accessed through this link. The relevant pages for Howmore and Berneray can be accessed from our web pages on the hostels. Her talk is available here. 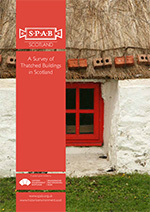 The Trust thanks Zoe Herbert and Jessica Snow of Historic Environment Scotland for permission to republish the talk.